or did it? According to Deadline, the bestselling YA book series by author Lemony Snicket (real name Daniel Handler) will be getting a second lease on life as Netflix plans to adapt them as a live-action series. 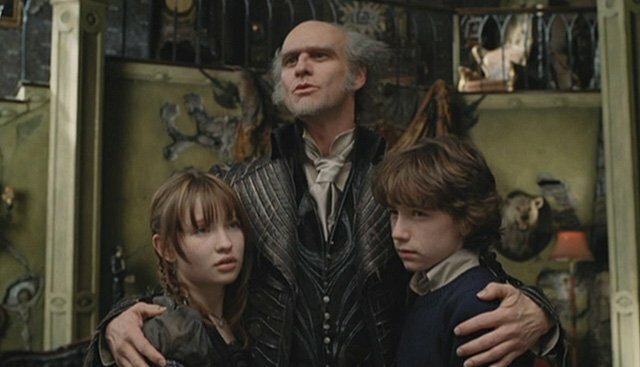 With 13 children’s novels in the cycle, Netflix has no shortage of material to pilfer for the show, which is currently looking for a director to recreate the darkly humorous visual world of Violet, Klaus, and little Sunny Baudelaire, three orphans who are doggedly pursued by their distant cousin/uncle Count Olaf. The books have collectively sold more than 60 million copies and have been translated into 41 languages. The 2004 film was directed by Brad Silberling, who approached the material from a German expressionist/silent film/Edward Gorey-inspired visual palette, and also introduced the world to actress Emily Browning (Sucker Punch, Pompeii) as Violet. Despite grossing $209-million worldwide, the film was deemed too expensive to be profitable and plans for a Harry Potter-esque franchise were abandoned.